All the suffering and fears of mankind are the result of wrong ideas about God; I will, therefore, teach you the truth about your Creator, truth that will protect and guide your heart as you begin your search for lasting happiness. 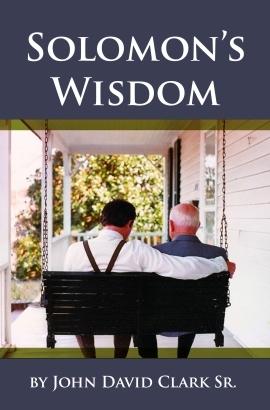 My father taught me in wisdom concerning Jehovah, my son, and you must learn these things, too, if you would be truly wise. Lastly, my father taught me that out of all the peoples of this world, God chose us to love, to protect, to guide, and to use both for His glory and for the blessing of all other nations. To all my father’s wisdom I gave ear, my son, and I will now add these things so that you might know the true and living God and become wise. You will hear some say that Jehovah is so holy that He cannot look on sin. Do not believe that nonsense for a moment. The eyes of the Lord are in every place, beholding both the good and the evil. He hates the wicked and their ways, and He loves those who follow after righteousness, but how can He know whom to love or whom to hate unless He sees the good and the evil that men are doing? Think about it, my son. Hell and the Pit are always in plain sight before Him, and every thought of man’s heart is known to Him. How, then, could evil deeds be too horrid for Him to observe? Does the Creator of the ear not hear every word? And does the Creator of the eye not see every deed? Men think that their plans and their accomplishments are their own, but God alone directs the course of history. Men devise plans for security and conquest, but only after God plants those plans into their hearts. No nation survives because of its military might. If the Lord determines that a nation will survive, no weapon can conquer it, and if the Lord determines that a nation will fall, no weapon can save it. Any thought or word that contradicts the truth of God is foolish, stupid, and confused. There is no such thing as countervailing any of the judgments of the Lord. God uses all things and all people, the wicked as well as the righteous, to accomplish His inscrutable purposes. God determines the outcome of quarrels between mighty men and nations, and once God has made a decision, who can add to it or detract from it? Even if rulers become so confused that they agree to flip a coin to decide what course to take, God determines whether those men call “heads” or “tails” and then determines how the flipped coin will land. Seeing, then, that all our ways are in the hand of the Lord, who is wise enough to find his own way to happiness? Does this confuse you? It is the work of God. It is His glory to conceal the truth of a matter. The Lord hides Himself and then demands that men humble themselves and seek Him, and to those who do humble themselves He reveals the secret of His covenant. It glorifies God that He conceals truth, even from the king, and it is honorable for the king to humble himself to seek answers from God. Hear my wisdom, son, for it will guide you securely in your search for His secret. The Lord can always be found in these two places: first, He can always be found in His high and holy place; second, He can always be found near the man who has a contrite and humble spirit. God uses both the malice and the praise of men on earth to try our hearts; therefore, neither hold grudges against those who curse you nor show favoritism to those who praise you. They both are merely being used by God to test your heart. God has provided ways for men to purge imperfections from precious metals. Then, should He not know how to perfect those among His own children who submit their souls to Him? Everything and everybody, both the good and the evil, are created by God and used by God for His glory and for the perfecting of His people. If two people are quarreling, you need not ask which one of them is right. I will tell you now who is right: they both are – in their own eyes. Every man believes that he is clean and his cause is holy. But God does not judge man either by his opinion of himself or by his reputation among others; rather, He considers the hidden thoughts of the heart and weighs the spirit of a man on the scales of His truth. Do not judge as men do, by what you see and hear; learn to judge as God does, by what is in the heart. God would much rather have a man to do what is right than to perform a rite in His honor, which is what men typically offer to God instead of obedience. Obedience is better than ceremony, and giving an ear to God is better than giving an offering to Him. My son, the powers that exist are ordained of God; there is no ruler anywhere but that God has placed him in office; therefore, fear the king as you fear God. The king is God’s instrument; He has set the king on his throne. Whoever resists the king resists the rule of God and will receive damnation for his rebellion. Take whatever the king decrees as from the mouth of the Lord, for God has the king’s heart in His hand; every decision he makes accomplishes only what God has predetermined to be done. You can no more rightly judge the king than you can rightly judge God; therefore, do not meddle with the king’s business. My advice to you is to obey every commandment of the king unless his commandment contradicts the expressed will of God. Always obey the higher power. When you are in the presence of the king, never depart hastily; be very careful that he is ready for you to leave, for his will is more important than yours. Follow no one in doing evil, for the king is bound by nothing, and when he discovers your sin and is provoked to wrath, who will plead for you against him? The power of the whole kingdom moves at his command; who has authority to question his motives or his wisdom? Obey the king’s commandments, and you will suffer no harm. Be careful never to speak nor even to think evil against the king. Nor is it wise to speak evil of those who are in high positions in his kingdom. You will be surprised how far and how quickly words spoken in secret can travel. The king’s wrath, as God’s, is a harbinger of death. It is like the roar of an approaching lion, but a wise man will humble himself and pacify it. If a ruler becomes angry with you, do not run away; submit yourself to his authority and you will pacify his wrath, even if you have committed a great offence. Wise men fear the king’s displeasure as they would fear a hungry lion charging toward them, for the king stands in God’s place on earth. Whoever is so foolish as to provoke the king’s wrath has sinned against his own soul. Patiently endure the rebuke of a ruler when he finds you to be in error, and speak to him humbly; that is the key to regaining his favor. A soft word, sincerely and humbly spoken, has the power to break the bones of a mighty man. An humble response pacifies the wrath of the king, but a brash, backbiting answer will provoke him to even greater wrath. As a dry wind from the north clears the sky of clouds, so the angry countenance of a righteous king can silence a froward tongue. His eyes scatter wickedness as a strong gust of wind scatters dust across the ground. A rebellious and wicked man is known by the insolent tone of his voice, but God will hold him down and cut out his impudent tongue. In the presence of the king there is safety, and his favor is as rain upon parched ground. The king’s favor is like a dew of happiness descending softly upon everything in your life, making all of it brighter and better. The lips of a righteous man please the king because nothing perverse passes through them. The king loves the man who speaks right things and will promote him to honor. If a king believes lies, all his servants will become liars. A king who can be deceived makes all his advisers deceivers. Learn from this, my son. A wise leader embarks upon no important endeavor without first diligently seeking prudent counsel. A people ruled by men who are guided by counsel from fools is a people that will be destroyed. When the dross is removed from the silver, the refiner has material for an excellent vessel, and when wicked advisers are removed from office, the king’s throne is made secure in righteousness. A king’s throne is secure only when righteousness is its base; therefore, a wise ruler abhors ungodly words and deeds. But a wicked man undermines the kingdom by helping the ungodly escape the king’s judgment. He doesn’t report evildoing to the authorities. If any governor protects the righteous and provides them with liberty to obey God, then God will bless his government, and all the people will be happy. When a king does good to God’s elect, his kingdom will be exalted by God above other kingdoms, but sinfulness is a disgrace to any nation. By it, even the greatest of kingdoms is brought to ruin and shame. It is by doing what is right, noble, and wise that a kingdom is blessed by God with safety, prosperity, and power over other kingdoms. Wicked rulers, by their example, lead the people down the path that leads to sorrow, but honorable rulers lead them into joy. The security and happiness of a people is dependent upon the integrity of their rulers. Righteous rulers compassionately consider the needs of the poor and do good for them, but ungodly men care only for themselves. When wicked men are elevated to positions of authority, they quickly become skilled in stifling the influence of the upright. In that case, there is nothing the righteous can do but to sit still and wait on God. But be of good cheer! Here on earth, the righteous will be blessed by God, and the wicked will be cursed because the Lord invariably loves those who do good and always condemns evildoers. God manipulates the circumstances of life so that the evil eventually bow before the good. So, be patient, my son; the judgment of the righteous will prevail over all the power of the wicked. It is tragic for any nation when the king is a child and when its rulers are self-indulgent. How blessed is a country when a well-trained young man ascends to the throne and when rulers eat and drink when it is time to do so – for strength rather than for gluttony and drunkenness! It may happen that sinners escape earthly punishment for committing the same wickedness a thousand times and that they live in health to a ripe old age; still, I know that in the end, the upright will find lasting happiness, and the wicked will not. When he meets the day of his death, and the Day of Judgment that God has determined for him, the sinner will be unable to finagle a delay in the court proceedings. His long earthly life will seem to him to have been but for a moment, and he will pay the full, final price for wasting all those precious years pursuing selfish gain without the fear of God. A wise king strikes terror in the heart of the wicked and has no qualms about punishing them severely and swiftly. Swiftness of punishment is greater part of its effect. It is because rulers do not swiftly punish evil doers that many young men are emboldened to do wickedness. Delayed justice is no justice; it promotes lawlessness instead of restraining it. Men become devoted to paths of wickedness when punishment for transgressions is delayed. Earthly rulers who do not swiftly punish transgressors are undermining their own authority. Forbearance with fools is folly, because fools do not understand mercy; they view a ruler’s patience as impotence and then proceed with their foolishness as if there were no power over them. When the wicked multiply, lawlessness increases; nevertheless, the righteous will survive both them and it, and they will be blessed. When God finally removes the wicked forever, the righteous will flourish. They will at last find the undisturbed happiness for which they have longed because whoever humbles himself to the higher power submits himself to God, who will reward all men according to their deeds. The wise king understands that only by swift and painful judgment is evil purged from the heart. Swift stripes on the back improve the heart. Wickedness never voluntarily departs; it must be driven out. (Beware the sinner who ceases from sin but not through fear of judgment, for evil never willingly leaves unless it is in hope of accomplishing a greater evil.) Furthermore, when a man who scorns authority is publicly and swiftly punished, young people who witness his punishment become wiser. His pain will instruct their hearts in the fear of God; they will submit to the authority over them, and the whole community will reap the benefit. Punishing a scorner will not turn him from his scornful way because he is a fool, but it will instruct the young people who are watching. On the other hand, when a wise man is reproved, both he and those who are watching benefit from it. It is precisely for providing security and tranquility for the people that civil authority exists, and where there is a king who deals with transgressors swiftly and justly, there is a secure and peaceful kingdom. By civil and military authorities, evildoers are punished and kept under control, but such authorities alone cannot lengthen the days of a nation; only by a man of understanding and knowledge can any state long endure. When men who are contemptuous of God’s ways govern, they lead the people into trouble, but wise men know how to humble themselves and turn God away from His wrath. In his own time and for his own purposes, a good king shows favor to faithful servants and punishes servants who behave foolishly. Never puff yourself up to grasp after a position of honor before the king. It is not honor if you have covetously sought it. It is better to be promoted by the will of God than to assume a position that is reserved for a better man and then be demoted when he shows up. An especially abhorrent abuse of power is for those in authority to acquit an evildoer or to condemn a righteous man. Every man in authority is placed there by God, and to use one’s power to help the wicked and to harm the good is a betrayal of a sacred trust; it is a crime against the Almighty Himself. And who will plead your cause for you when you stand before His judgment seat? Nor is it good to punish a just man, nor to penalize rulers for refusing to take bribes and pervert justice. Wicked men maneuver to obtain special privileges, for they fear being judged impartially. Their ways are evil, but by their bribes and cunning deceit, justice is denied to the upright and is twisted to favor the ungodly. It is not good to veer off the perfect path of justice in order to show respect to any man. Judges who do so are contemptible. When a man’s decisions are for sale, he is auctioning his soul to the highest bidder. In time, his worthlessness will become obvious to all, and he will become willing to sell himself for a piece of bread, if anyone will take him up on the offer. A wicked king terrorizes and oppresses the poor among his own people and leaves them scarred and plundered. It is foolish for a king to oppress his own people and reduce their numbers. The more subjects a king commands, the greater his stature. What kind of glory is it for a king to reign over a kingdom of a few people? It is for the king to provide justice for the poor, and if he does so, God will bless both him and his kingdom. A foolish ruler constantly raises taxes, but the king who is not covetous of his subjects’ money will enjoy a long and happy reign. A bribe-taking king is an enemy of his own kingdom, and he will overthrow it; but the ruler who makes just judgments secures his people’s happiness. Mercy and truth save the king from damage and destruction; his throne is made secure by mercy, for God renders even to the king according to that which he has sown. Remember this, my son. There are two ways to assure yourself of poverty and ruin at the hands of God: giving to the rich, who need nothing, and refusing to give to the poor. Never make a judgment in favor of a rich man because he is rich. Neither should you make a judgment in favor of a poor man because he is poor. Wealth itself is not wickedness, and poverty itself is not purity. Judge all things according to God’s commandments, without regard to a man’s social or financial status. If a man is evil, say so. If you proclaim that a man is righteous when he is not, the saints will curse your name as they do his; multitudes will come to abhor you with him. A wicked soul is a sinking vessel; do not board it. If a man does evil, rebuke him and have no part in his filthy ways. So shall the favor and blessing of both God and men come upon you. If you are required to dine with someone in high political office, carefully consider what is offered you. Do whatever it takes to keep your hunger firmly under control, and do not gorge yourself on his delicacies. Such men always have ulterior motives for their displays of generosity and friendship. An essential ingredient of a ruler’s banquet is deceit. Other ungodly men, as well, will try the integrity of your heart with invitations to their feasts. Do not allow your natural lust for good food to control your actions. The free, good food and entertainment are in truth neither free nor good; they are intended to blind you to what is really happening. Eat nothing that such a man offers you; otherwise, his efforts to influence and pervert your sound judgment may succeed. “Eat and drink”, he smilingly says, but if you think he cares one whit about whether you are hungry or thirsty, you are very foolish. If you accept his invitation and give in to his carefully planned seduction of your soul, you will see the day that you vomit up his sweet delicacies, and with them will come out of your belly the flattering words you paid him for his favor. For a little while, and by the use of evil practices, the wicked man may wax powerful and strike terror in the hearts of men, but like a swiftly passing storm, he shall fade away and never bother the righteous again. (His days will be shortened by God.) On the other hand, when the righteous man comes to the end of his time on earth, he will live forever in continual happiness because while he was here, he feared God and did good to others.